MDC "prodigal sons and daughters" who include former secretary generals Welshman Ncube and Tendai Biti will have to wait until the main opposition's May congress to know whether they are still eligible to occupy party leadership positions. This was revealed by current secretary general Douglas Mwonzora in an exclusive interview with NewZim TV on Friday. Ncube and Biti broke ranks with the mainstream MDC 2005 and 2014 to lead breakaway parties after fall-outs with founding party leader Morgan Tsvangirai. Ncube retained the name MDC while Biti's party went by the name PDP. They reintegrated into the party under a loose election pact called MDC Alliance. Both MDC-Ncube and Biti's PDP are yet to convene their own congresses to formalise their disbandment while the MDC led by Nelson Chamisa is still to formalise their return through congress. 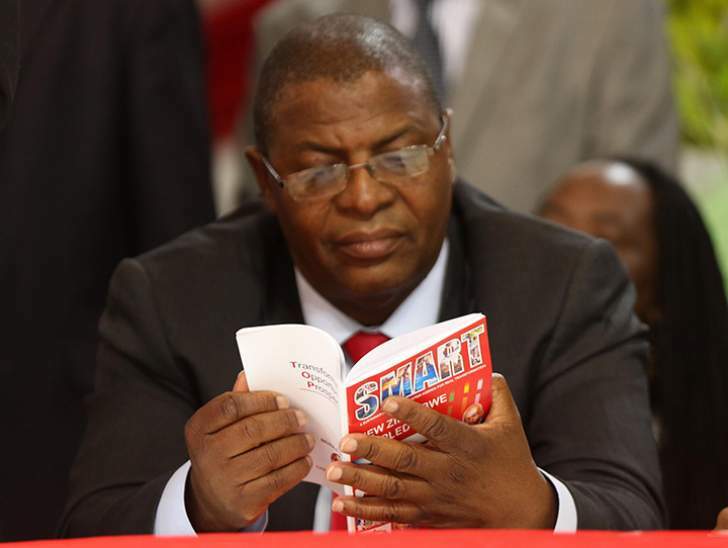 The MDC constitution says that for one to be eligible to run for any leadership position within the party, one should have had five years of continuous service to it, something that makes Ncube, Biti and their followers ineligible for this year's congress. Mwonzora said while in principle, the founding MDC politicians were now fully integrated into the party, their return was still to be endorsed by congress. "If a person is fully integrated, they assume full rights but we do have this situation where there are time limits…it was within the spirit of integration that they be allowed to contest but in order to deal with the constitutional provision, we have to seek a special dispensation at congress. "The template says for you to qualify for election in the branch, ward and district, you must have served in the party for a minimum of two years after the province as well as the national election it must be five years and this is five years of continuous service in the party." Mwonzora added, "This template sets out the procedure to be followed in elections. It also sets out the Electoral College and the qualification of membership, these qualifications to hold office are contained in the constitution as well. "We will have to seek a special condonation and that is what we are going to do." Ncube and Biti are understood to be eyeing the MDC vice presidency posts. They will have to fight it out with current VPs, Elias Mudzuri and Morgen Komichi although less has come out of the former's congress plans.